Bryan has three treatments left! Praise the Lord — seriously! The thought of only a remaining 1/4 of treatments left, is very exciting. 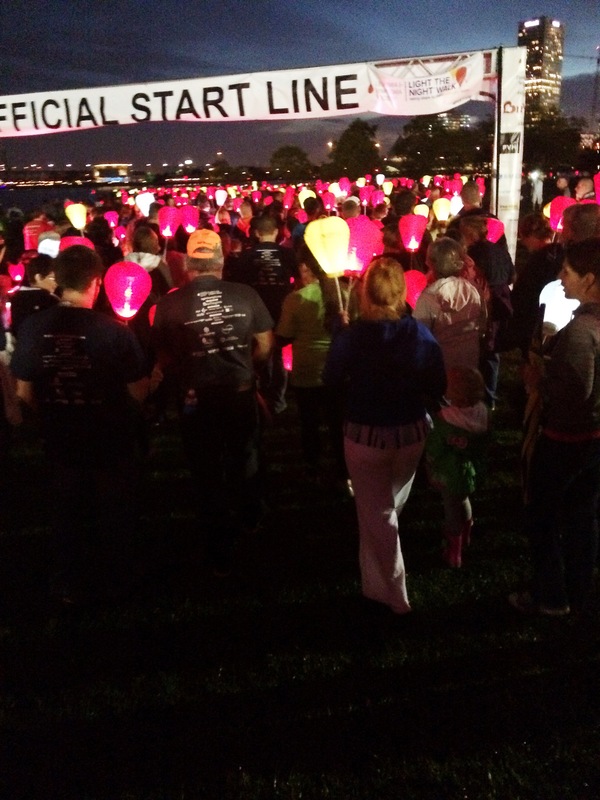 We were able to participate in the Leukemia & Lymphoma Society’s Light the Night Walk, and it was an inspirational and emotional experience. Bryan did not attend the walk, given the amount of people who would be there, as well as his lower energy level, but I can tell you that he felt extremely loved and supported by the people who walked alongside us, as well as those that had donated to the cause. This walk will be one that we continue to participate in, and next year Bryan will be there walking with us! 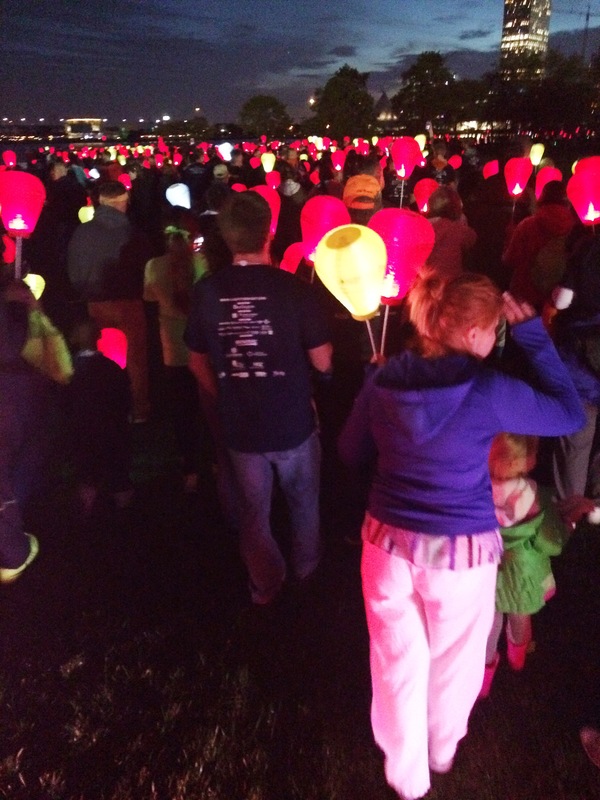 So awesome to see lanterns lit everywhere. I was brought to tears to see everyone supporting Bryan, and as the words played to “Fight Song”, I just couldn’t handle it. Bryan has been such a strong fighter, and even more so, God has been fighting on his behalf, and I am so, so thankful. 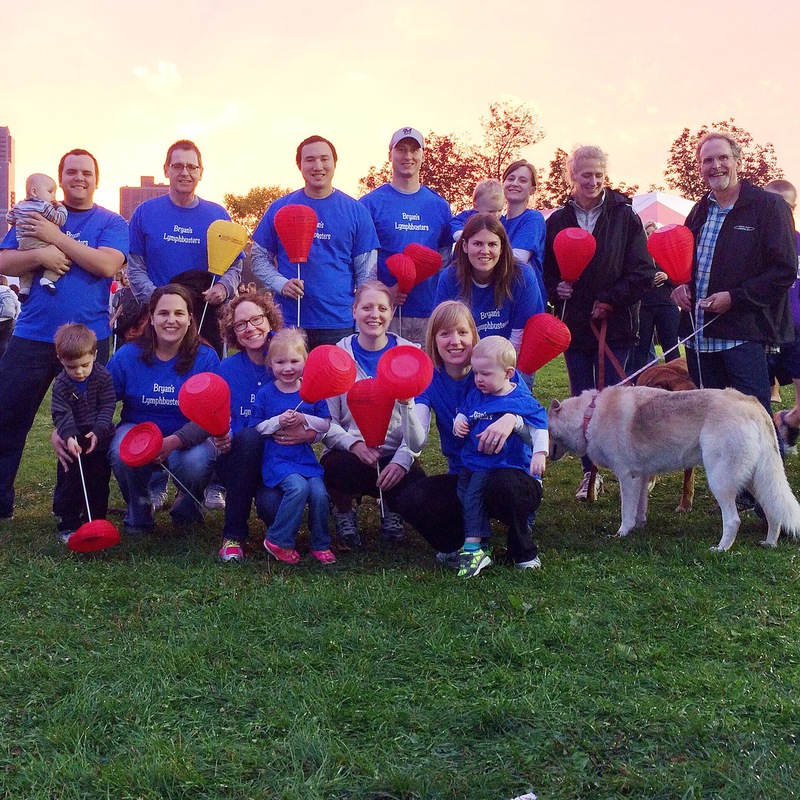 The weather was perfect, and our team raised over $1,000 to support blood cancer research, which is what it is all about. Thank you to those that were a part of this night! Bryan is still tolerating treatments well, but is more fatigued after each one. It takes him a little longer each time to recuperate, which is what we expected would happen at this point. He is otherwise staying healthy, which is a huge blessing in itself! We would love continued prayers for Bryan, that he wouldn’t be nauseous, that he would have energy to continue working and doing things he loves, and that he would continue to stay healthy and avoid any cold and flu germs. Actually, prayers that our whole family would stay healthy, would be wonderful as it seems that if one of us gets sick, we all do. If you think of it, continue to encourage Bryan as well — cards and phone calls and texts have really meant a lot to him, and while we know the chemo is working (the biggest answer to prayer! ), treatments are tough, and it is hard for him to not feel like himself. Thank you to everyone who continues to ask what they can do to help — to our neighbors who faithfully mow our lawn, to our friends who send us encouraging Scripture verses and texts, to our family who helps with our kids and brings us food, and to those who are faithful in praying. We appreciate you!